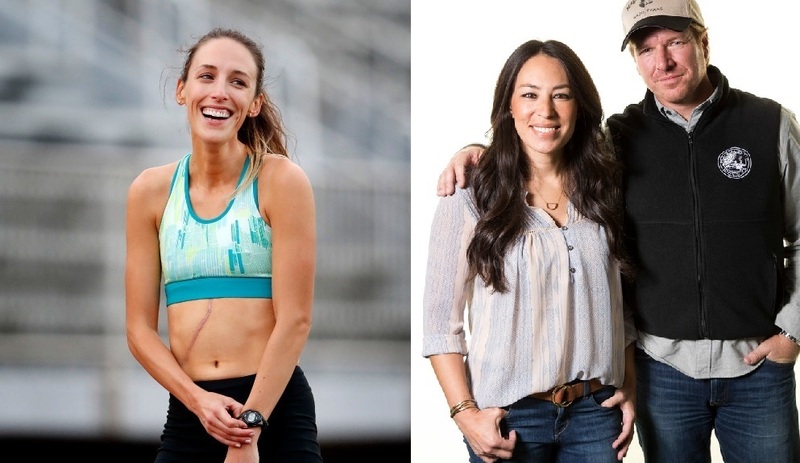 Professional Minnesota runner Gabriele Grunewald has inspired countless people by continuing to train and compete at a high level while actively battling a rare form of cancer. It seems now that her influence has reached a target as seemingly unlikely as he is popular: TV’s Chip Gaines. Gaines, in case you have somehow never had HGTV on inside your home, is the co-star of that channel’s program “Fixer Upper” alongside his wife, Joanna. They’ve moved beyond being mere home remodeling show stars to being celebs covered breathlessly for things like news that they are expecting their fifth child. Adding to the news in 2018 is this nugget, revealed Wednesday by Chip Gaines: He just started training for his first marathon — a decision inspired by a chance meeting with Grunewald, who will be training Gaines for his big run from Minnesota while he’s down in Texas. But he’s committed. Grunewald told him he could get in shape to run the full 26.2 miles by the beginning of the summer. If I can inject some person history here, I tend to agree that he can make it. Back in 2008, I had never run anything more than a 5K and was not an active runner at all. My good friend @JohnSharkman got me to sign up for Twin Cities Marathon with him, and those early training runs — even three or four miles — were brutal. But you add on a mile here or there, and you gain confidence. I was able to build up to marathon shape and finished the first of what would turn out to be five marathons (so far). Maybe I’m a sucker for first-time runner stories, but I’ll definitely be interested to see how this goes.